The best pyrotechnic teams from all over the world are heading to Moscow to take part in the 3rd International Rostec Fireworks Festival. 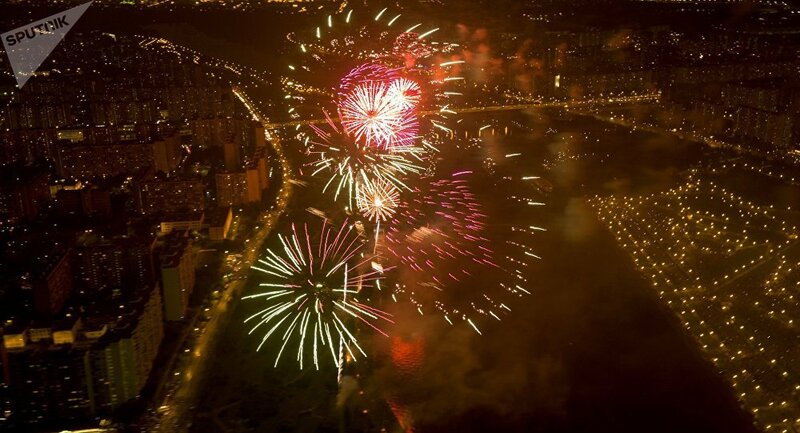 The festival will be held at Moscow’s Brateevsky Park on August 19 and 20, and will see top pyrotechnic teams from Austria, Armenia, Brazil, China, Russia, Japan, Croatia and Romania battle for supremacy. The event, held under the auspices of the Moscow city administration, is expected to kick off at 9 p.m. local time (6 p.m. GMT) on August 19. This year’s festival theme is "Moscow on the Seven Hills" – a reference to the seven hills on which the Russian capital was originally built. On each day of the festival the audience will be treated to four pyrotechnic shows. The pyrotechnic teams involved stand ready to launch some 60,000 volleys of fireworks up to 200 meters into the air. Those in attendance will also be able to partake in various other activities, like visiting a historic-themed food court, meet with popular writers and poets, watch street performers and concerts, and participate in quests and sports contests. "The International Fireworks Festival is not just a major cultural event, it is also an important international competition," said Yulia Voronova, Rostec Assistant Director General for Social Projects. She also added that in order to commemorate its tenth anniversary, the Rostec Corporation has prepared a special surprise for the festival’s audience. The International Information Agency Rossiya Segondya was chosen to be the official partner of this festival.